Organising a stag do Belfast in Northern Ireland? 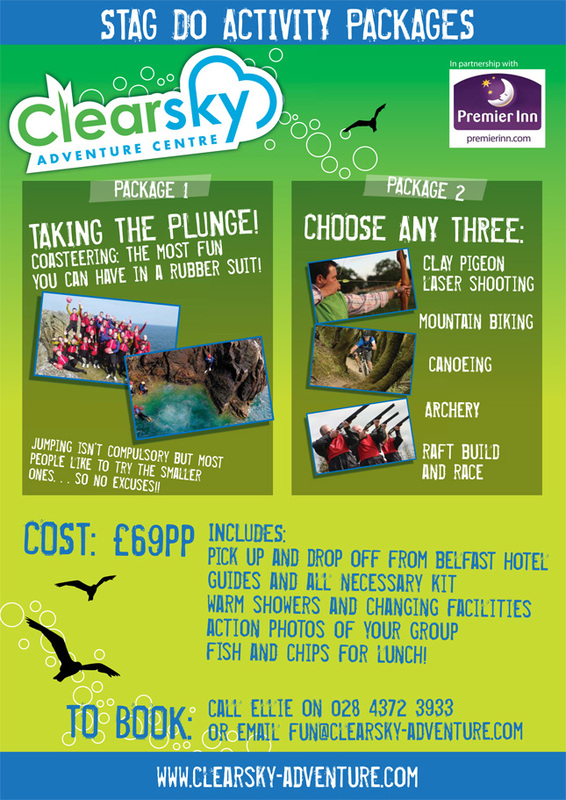 We offer a wide range of stag do Belfast packages with activities such as Clay Pigeon Shooting, Coasteering (sea cliff jumping), Archery, Le Man Raft Races, 300 horse power Speed Boat Trips, Kayaking, Mountain Biking and much more. Activity sessions can be anything from 2-hours to full day so you can easily fit in around rugby match kick-off, happy hour, first orders, last orders and all those other important stag do Belfast rituals! Coasteering – The most fun you can have in a rubber suit! AND everything you were told not to do as a child! * Ensuring the lads have great craic on activities and the Stag definitely has a day to remember!